ACS-T34 – invading the world! Combined SpecMetrix & V.T. 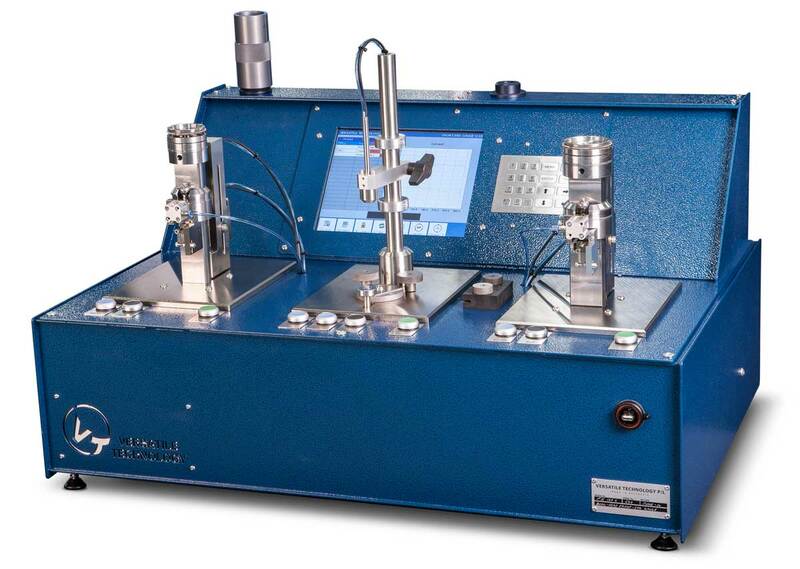 Automatic Coating Thickness Gauge. 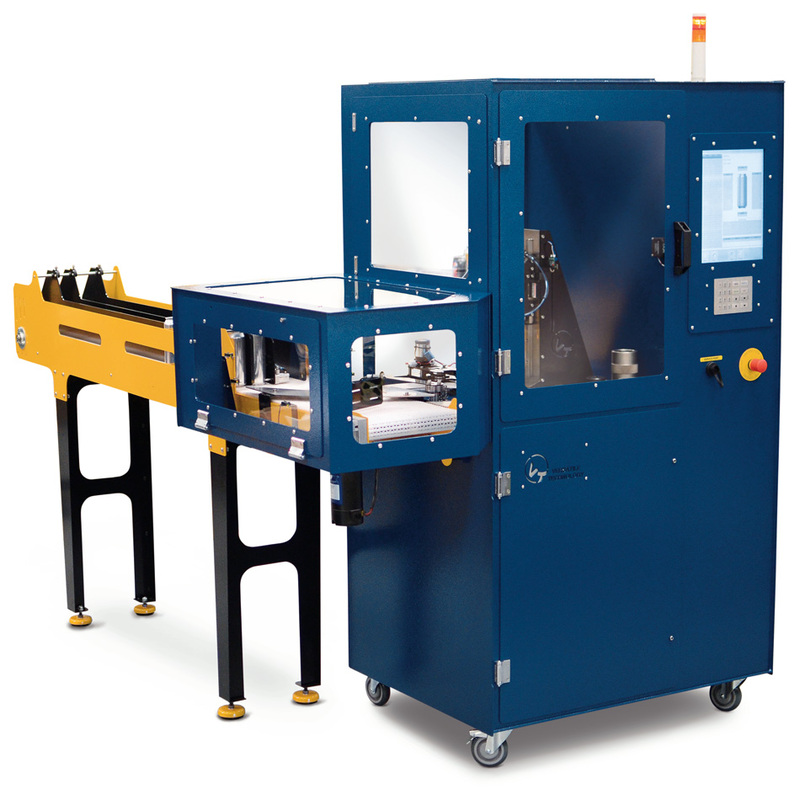 360º Automatic continuous scanning. 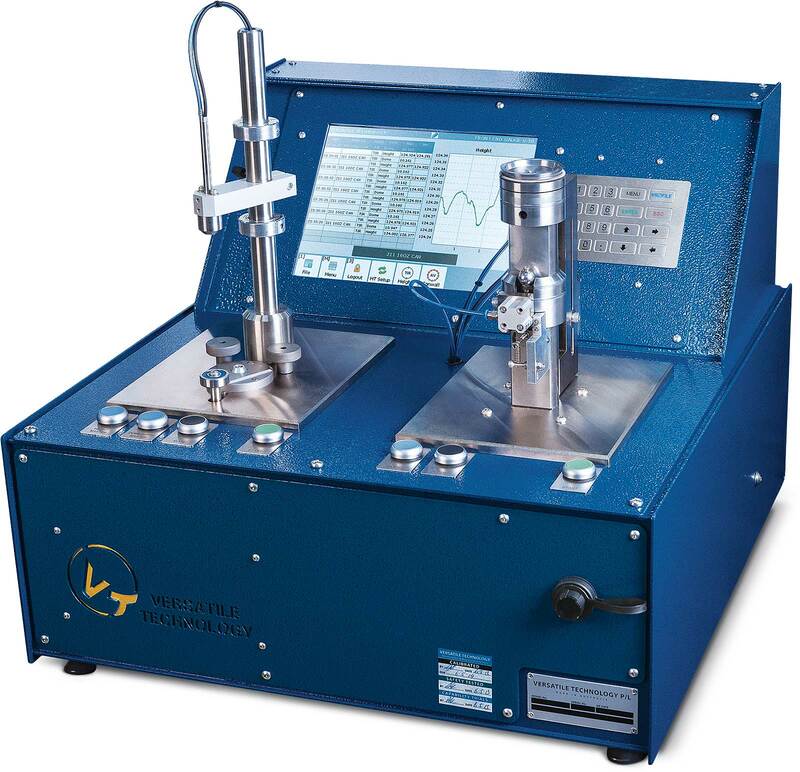 Realtime waveform graphing displays true maximum, minimum and average coating thickness instantly. Measures any standard beverage can diameters including 202, 204, 206, 211 and 300 cans with any height without changeover or stopping. Now features our dark night module for UV rim coat inspection. Automatic, multisize and requires zero operator labour/influence. Scan both cans and cups on the same gauge with no need to stop or change parts. 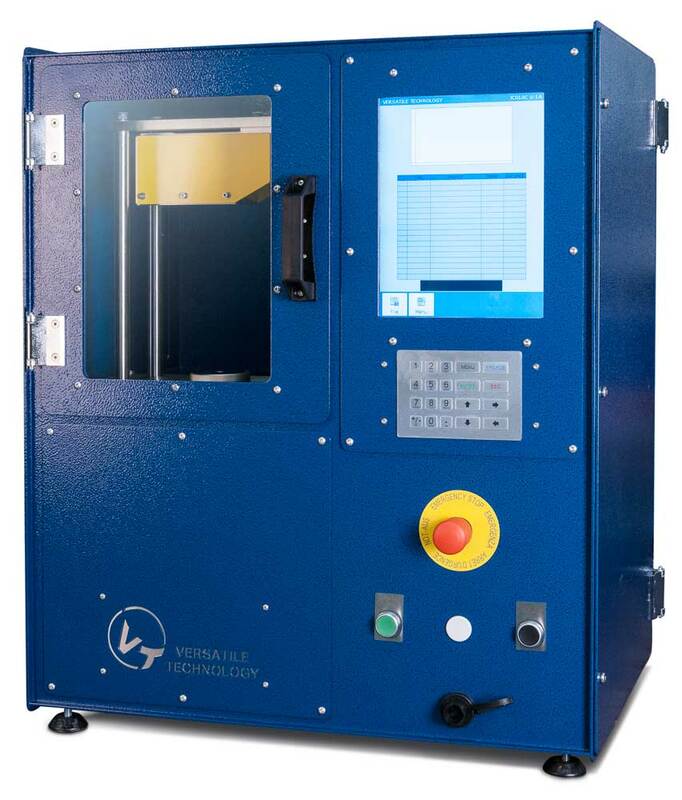 360º Automatic continuous scanning graph displays true maximum, minimum and average wall thickness plus can height instantly. Standard beverage can diameters including 202, 204, 206 and 211 cans without changeover. Standard beverage can heights from 250ml through to 610ml without changeover. Measures lubricated cans and cups. 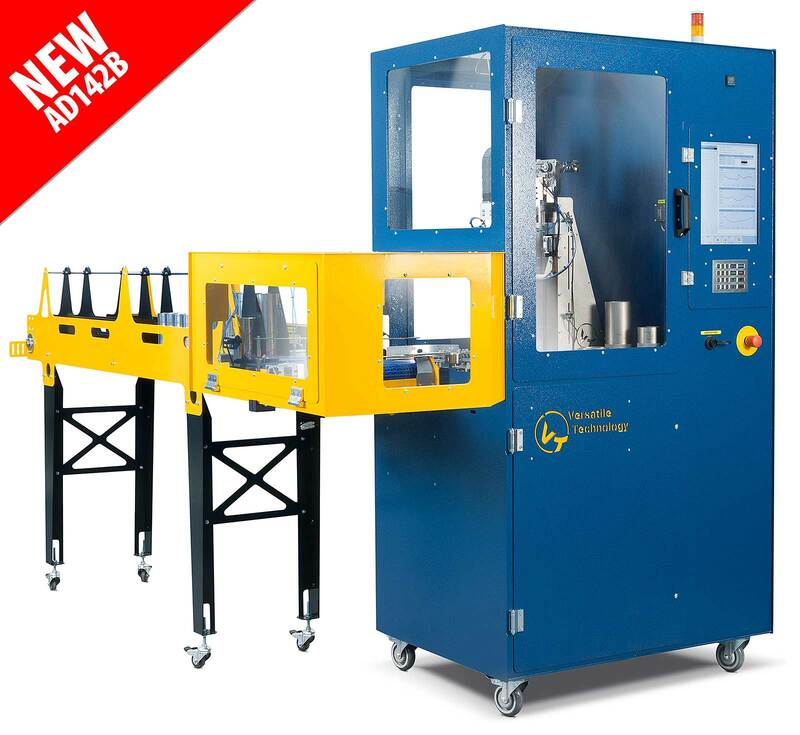 Automatic metal grain alignment for cups. Instant graphing of Top Wall, Mid Wall and Vertical Scan. Physical indent to assess scanned data with the product. 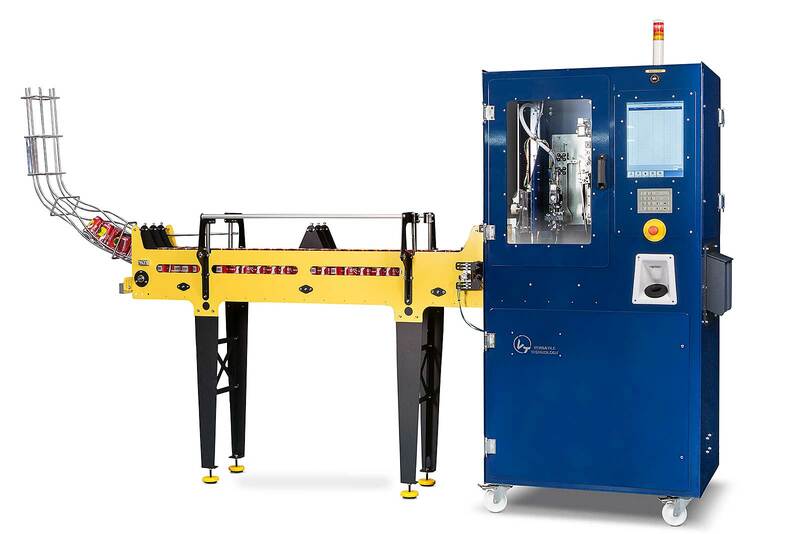 Single Point, Multi Point and Scanned Wall Thickness for lubricated cans. Standard Colour: Blue Hammertone Powder Coat. WACO instrumentation – industry standard. Tests standard beverage can diameters 202, 204, 206 and 211 cans without changeover. Tests standard beverage necks 200, 202 and 206 without changeover. 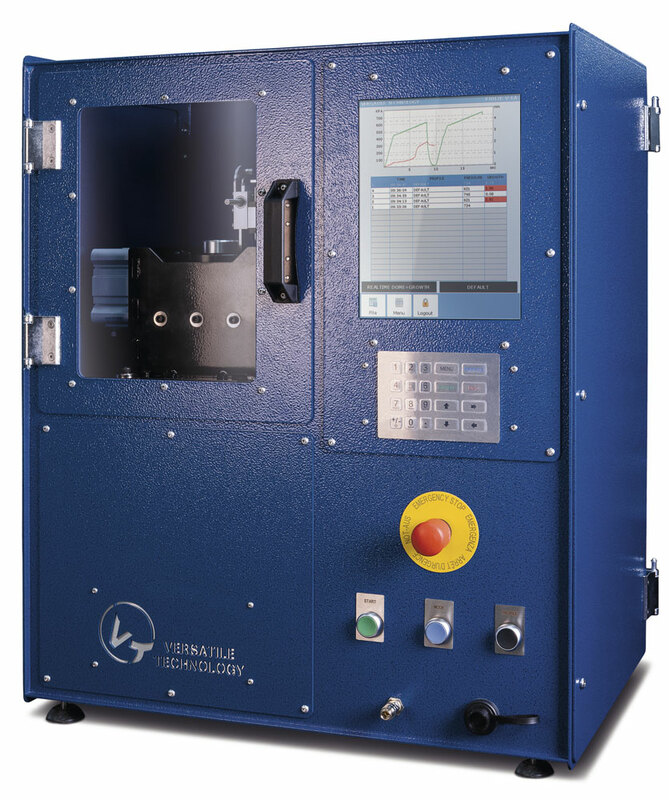 Scanning Reform Diameter and Groove Diameter option. 200, 202 and 206 split sectors fitted standard. 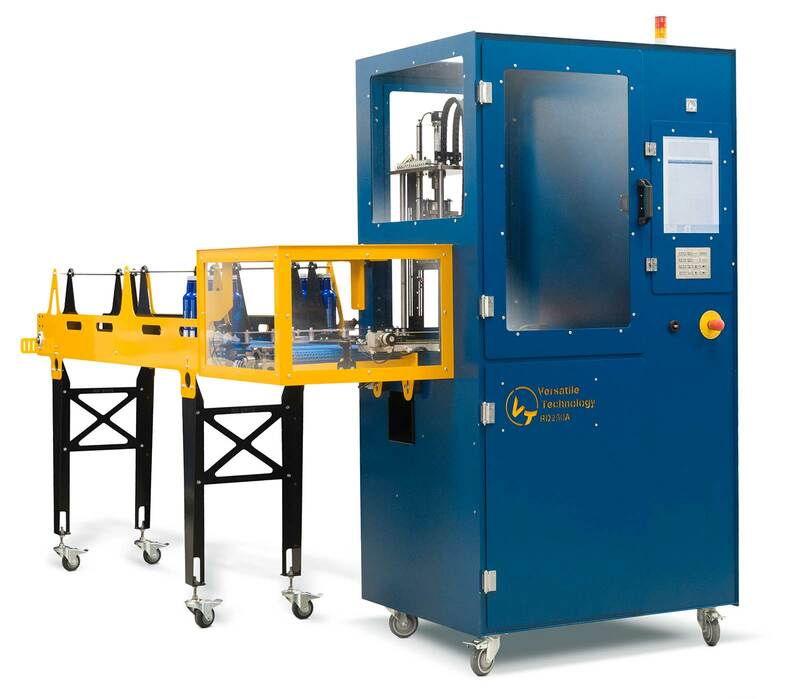 Manual / Automatic Can loading. Accept / reject output lanes. Standard Color: Blue Hammer tone Powder Coat. 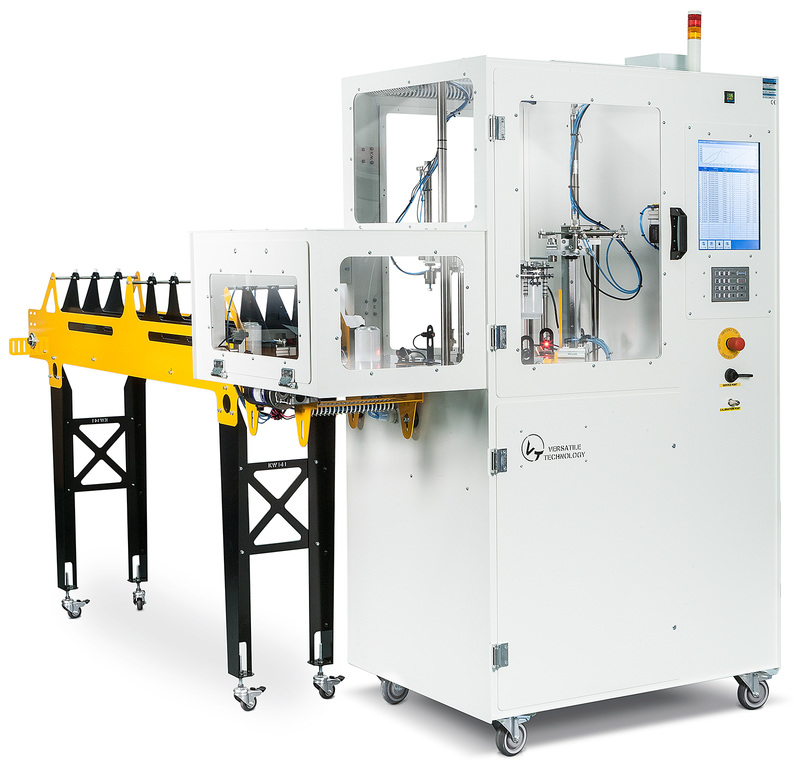 THE WORLD’S FIRST AUTOMATIC BOTTLE CAN AXIAL LOAD GAUGE. WHY GO ANYWHERE ELSE? Measures axial load on finished bottle cans. Measures standard finished beverage can dimensions. Plug Neck Diameter. Split Sector Method. Finished Can Height. Multipoint, single point. Flange Width. Multipoint, single point. Optional Reform Dome Scanner station. Reform Groove and Diameter height. Double the data, double the fun. FE129 Dual Head Front End Gauge features additional can wall station. Great for Swingline (changeover) plants. Real time graphing of force verses time. Data tabulation with “out of specification” tolerances. 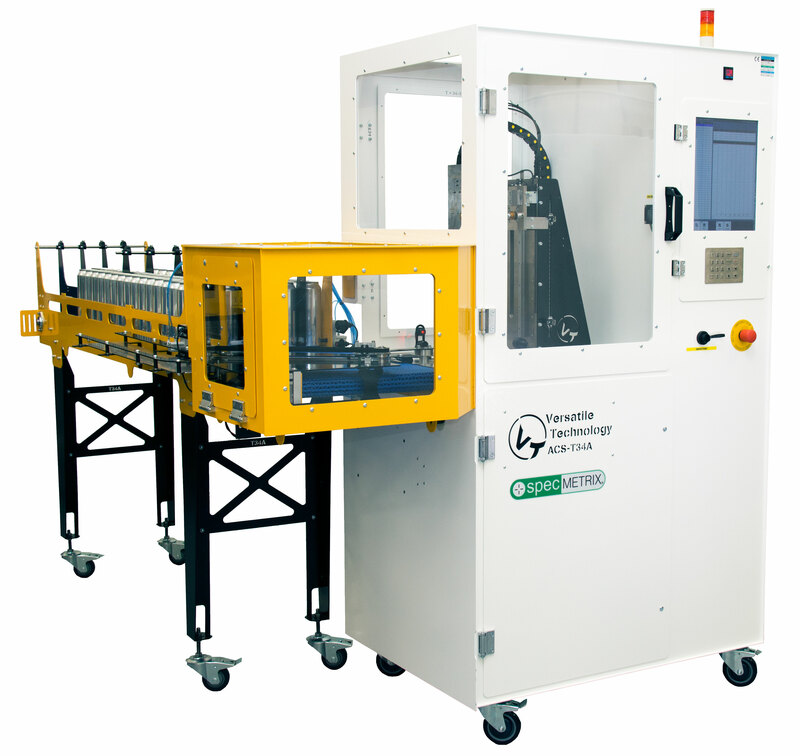 Automatic can height sensing with no height spacers required. Accepts all beverage can sizes. Built in Colour TFT display. Built in calibration and diagnostic screens. RS232 and ethernet data output. Rugged construction to suit placement on factory floor with a tough steel chassis and powder coat finish. Simple to use with excellent serviceability. Manually loaded Dome Reversal Gauge for standard, finished beverage cans. Dome Reversal. Real time graph of pressure. Manual Dome Reversal Mode. Pre measure height of can then insert can in gauge. Can is pressurised to preset value eg 90PSI or 620 KPa. Remove can to measure height and compute dome growth. Dome Growth. 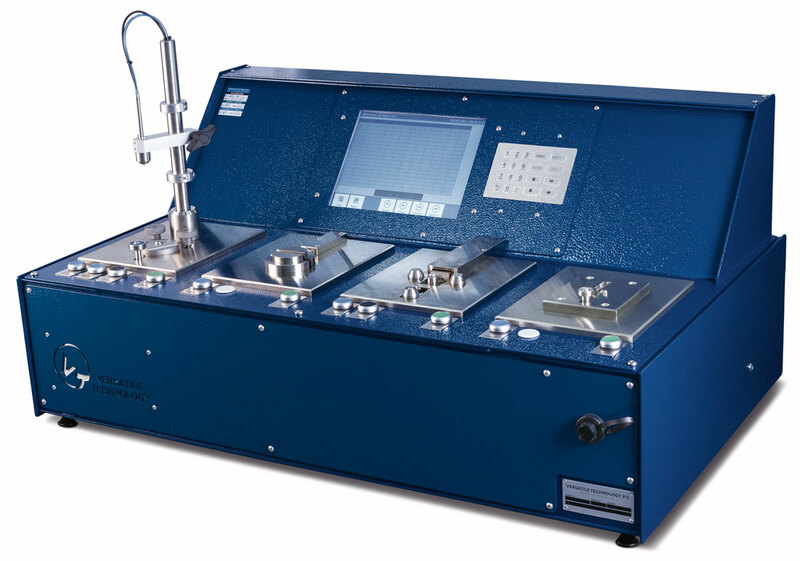 Automatically measures dome growth. Single diameter only. Standard gauge is 211 size. 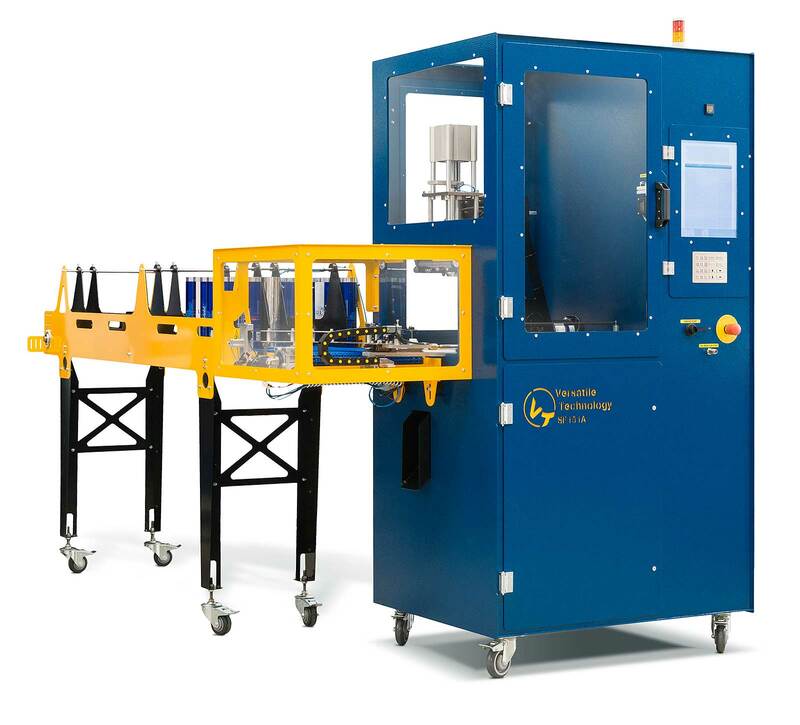 Optional 202 Can Insert Kit allows testing of 202 body cans. Gauge can be ordered in dedicated 202 size as well as 204, 206 and sleek cans.